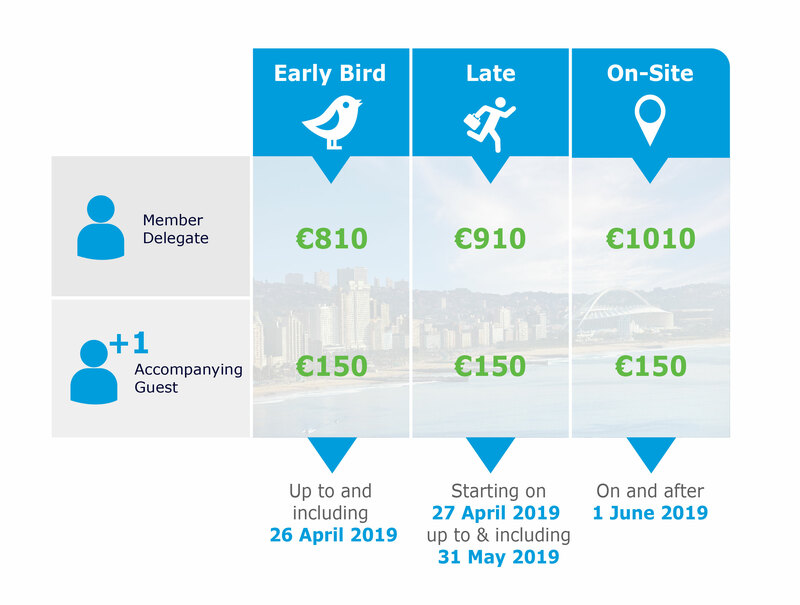 - For cancellations received up to and including 26 April 2019, a cancellation fee of 100 Eur will be charged. Accompanying guests will be charged 50 Eur. - For cancellations received on and after 27 April 2019, no refund will be given, full amount required.